The United States women's national team will aim to bounce back from the disappoint suffered against France in its first game of the year. 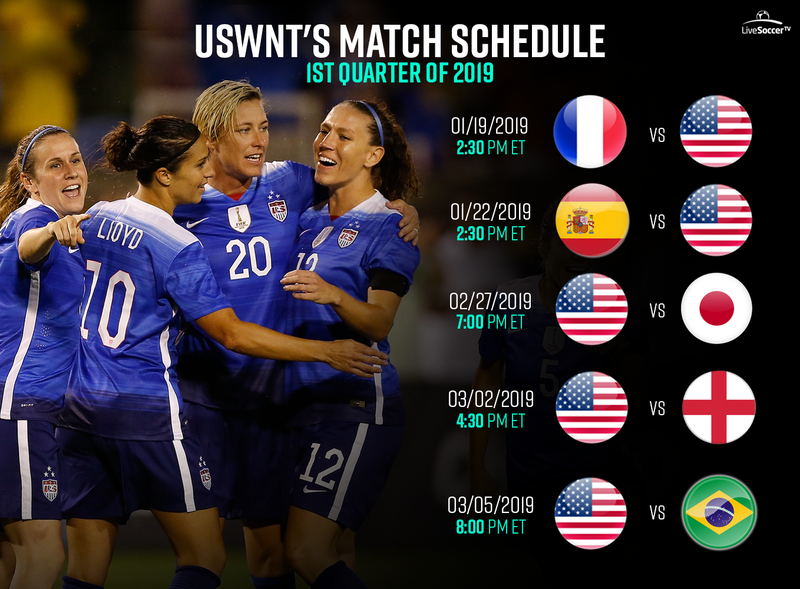 The preparatory game ahead of this summer's World Cup in France saw Jill Ellis' ladies suffer a 3-1 defeat at the Stade Oceane in Le Havre, France. In fairness, it will be erroneous to think the result will be a reflection of things yet to unfold for the USWNT as the side missed a few of its star names to injury. Still, the three-time world champions will aim to uphold their reputation of being a real powerhouse coming against a Spanish side that has grown in strength in the past few years. Tuesday's game's host is a rising power in world football as far as women's football is concerned and that has been seen in its U-17 and U-20 groups who performed remarkably in their respective World Cups in recent years. As a result, Jorge Vilda's side will be hands on ready to give USA a real test in preparations towards this summer's finals. What is the current form of Spain in contrast to the USA? Spain approaches this women's soccer friendly match bearing a 16-game unbeaten run. The last defeat of the Europeans came via a 3-1 scoreline in an international friendly against France way back in September 2017. Across the last 10 games, La Roja has won eight and has drawn twice. Relatively, the USWNT saw an impressive 28-game unbeaten run brought to an end by the 3-1 defeat suffered against France on Saturday. Up until meeting the 2019 World Cup host, Jill Ellis' side had a perfect win run in its last 10 games. The upcoming meeting will be the very first of its kind between Spain and USA. In USA, the friendly match will be aired live on Univision Deportes, ESPN2, and Univision Deportes En Vivo. There is no available broadcast information for the United Kingdom.